Christ Community Church retained Diversified Design Group, Inc. to oversee the architectural acoustic design. We also provided complete AV system design, budgeting, bidding and construction oversight duties. The project included acoustic treatments to provide proper control of sound in the space, an exploded cluster style speaker system and a 24-channel analog mixing console. A pan/tilt camera system for image magnification, a single projection system for the audience and a confidence monitor projection system for the choir round out the design. 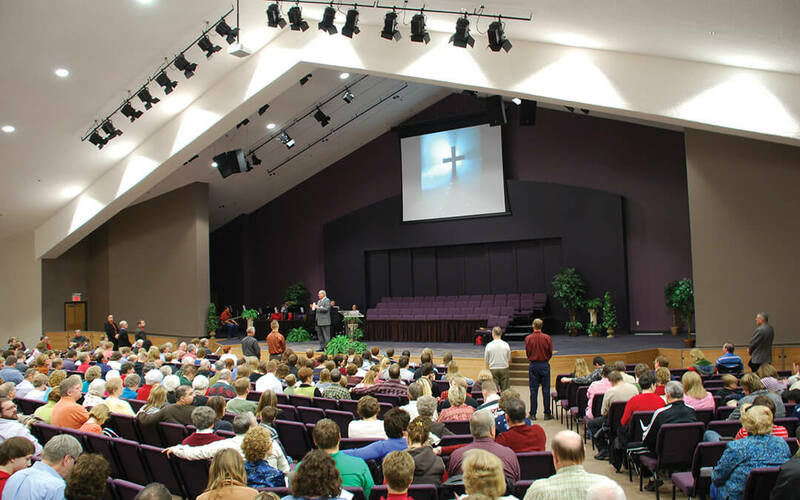 Diversified Design Group, Inc. was able to provide a space with the proper acoustics and an AV system that allowed Christ Community Church to concentrate on their worship services with confidence.